When it comes to accuracy and connectivity, Polar H10 heart rate sensor is the go-to choice. Monitor your heart rate with maximum precision and connect your heart rate to two Bluetooth training devices of your choice simultaneously. Polar H10 works with all Polar watches and trackers that use Bluetooth to transfer data. The silicone dots on the Polar Pro strap make sure the sensor stays in place through every stroke and turn. Connect your Polar H10 securely to two Bluetooth training devices at the same time: Your Polar watch + your bike computer, your favorite fitness app + gym machine, your Polar watch + gym machine; whatever combination best suits your workout. 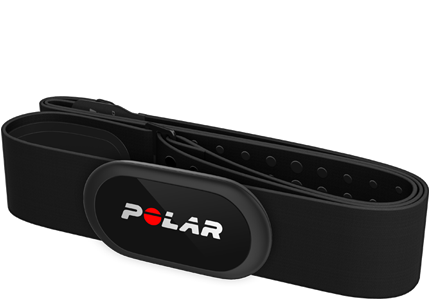 The improved electrodes make Polar H10 the most accurate heart rate sensor in Polar’s history. Polar H10 is compatible with top fitness apps, gym equipment and many other Bluetooth devices. You can connect it simultaneously to two Bluetooth devices. The Polar H10 keeps on improving with OTA software updates. 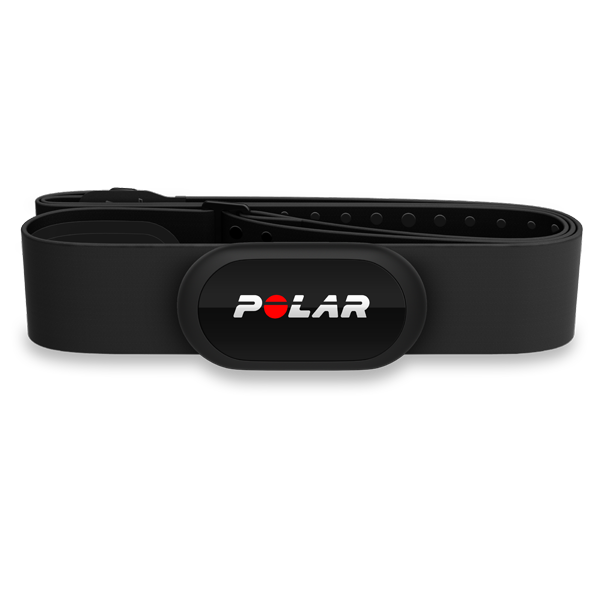 Polar H10 has a built-in memory for heart rate data from one training session. The data can be transfered to Polar Beat, Polar’s free fitness and training app. Compatibility iOS mobile devices iPhone 4S and later and Android mobile devices with Bluetooth 4.0 capability and Android 4.4 or later. Please see more information here. Materials Connector: ABS, ABS + GF, PC, Stainless steel. Strap: 38% Polyamide, 29% Polyurethane, 20% Elastane, 13% Polyester, Silicone prints.